Coteaux du Layon Domaine Baumard has a lovely luscious fruity nose and palate balanced with much zippy acidity. 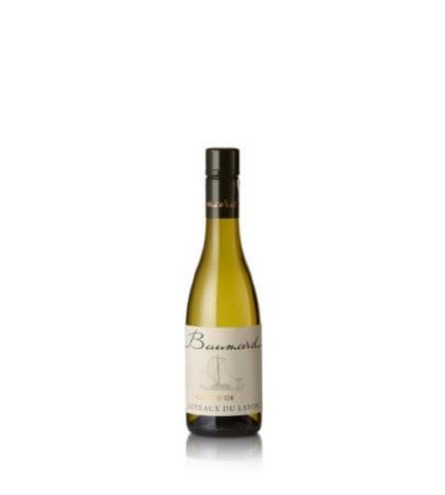 Coteaux du Layon Domaine Baumard has a very attractive honeyed nose, with lifted yellow fruits and more golden tropical elements such as mango, guava and pineapple. It has a very fresh feel on the palate, with steely minerality and a zippy background acidity giving invigorating tartness to keep the wine luscious and buoyant. The rounded, approachable finish has good length. The Baumard approach to viticulture is a notable one, and it does make it easy to spot the Baumard vines in any given appellation as the vines are trained in a fashion Baumard describe as vignes hautes et larges – the larges refers to the distance between the vines, a remarkable 3 metres between the rows and 0.8 metres between each vine, whereas the hautes refers to the high trellising system employed, taking the vines to a height of more than 2 metres. Between the rows, the soil is alternatively ploughed and grassed over, a methodology the Baumards have been following for well over 40 years. The harvest is manual, and the fruit transported in small plastic cages to minimise damage. In the winery the grapes undergo pneumatic pressing of whole bunches followed by fermentation at low, controlled temperatures and 9 months in stainless steel on its fine lees. There is no oak aging so that the innate primary fruit notes are retained to create a vibrant dessert wine. This belief is reflected in his Savennières from the famous vineyards of Clos St Yves and Clos du Papillon are rich, yet with a balance and elegance that are unrivalled. The perfect match for rich starters like foie gras or sweetbreads and will see you through to dessert or cheese.